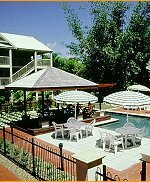 Port Douglas, Australia offers a superb range of accommodation facilities. There's is the 5 star Sheraton Mirage Resort, the Radisson, and a large number of smaller resort properties, suites and apartments complexes, motor inns and backpacker establishments. Port Douglas caters for everybody but the post popular form of accommodation is apartments. A number of new apartment buildings have been built in recent years and the popularity of Port Douglas has grown out of all proportion with other destinations in Australia. Port Douglas has become particularly fashionable for overseas visitors, especially those from the UK, USA and Europe. Just on the doorstep of the former Metro Suites Port Douglas are the landmarks of historic far-north Queensland, the lush green hinterland, and the spectacular Great Barrier Reef. The beautiful tropical environment surrounding the Metro Suites Port Douglas places you in one of the world's favourite adventure locations.